The List of the Day PLUS! 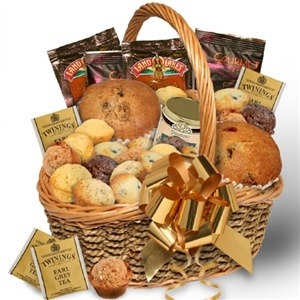 NOTE: We have no intention of really giving you a muffin basket. How do they even keep the muffins fresh long enough to basket and then deliver them? This is not a good business strategy. Twitter owes a lot of its present popularity to the A-list cast of celebrities who frequent the microblogging service. I mean, can you imagine ever hanging out there if Kanye West weren’t sharing insights about Persian rugs with cherubs on them constantly? UNLIKELY! Will the same happen for Google’s upstart new social network, Google+? It seems increasingly possible. The site is already being called “the fastest-growing in history” and has added over 25 million new users while still in beta. (For comparison, it took Facebook 3 years to get to 25 million users, and Twitter nearly 30 months.) And now, the celebrities have started pouring in. Check out Ranker’s guide to Celebrities on Google+ for a fairly thorough listing of everyone who’s using the service, from NBA great Carmelo Anthony to socialite Paris Hilton to Dell Inc. founder Michael Dell. (Dude you’re getting a Dell…post!) 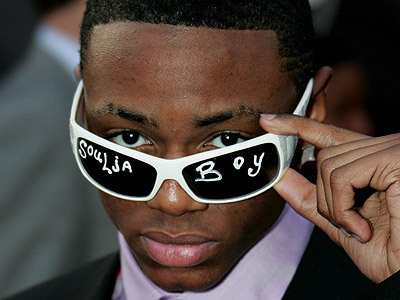 Imagine, being able to experience Soulja Boy cranking that in REAL-TIME. Truly, we live in a remarkable age. The glasses are helpful whenever he forgets his own name. Hey, it happens.